For most physicists today, there is no question that the universe originated in a "Big Bang", essentially from nothing, and that what we see today when looking at the stars with our most powerful telescopes is nothing but the remains of that primordial explosion, still expanding and cooling in the process. A universe in inexorable decay, goes the story, that lives from the energy imparted by a primordial explosive event. But more and more observations actually contradict this modern fairy tale, to a point where it becomes exceedingly difficult to continue believing in the Big Bang and for that matter, in much of what physics tells us about what constitutes matter, space and time, and how they interrelate. Roger Rydin examines the history of the "Big Bang" and some of the more recent observational data that seem to contradict General Relativity's prediction of an essentially uniform distribution of matter in the universe, which is at the basis of Big Bang theory. The Big Bang has an interesting history. The theory came first, beginning in 1916, thirteen years before the first confirmed experimental evidence that even suggested that the universe was in "some kind" of motion. A second camp arose, claiming that the universe was static, and they offered an alternative explanation, for the supporting experimental data, called "tired light". Approximately thirty years after the theory was formulated, around 1945, came some theoretical and experimental work that showed that the light elements like Helium were produced by fusion, meaning that there was a hot beginning "of some sort" to the universe. It took another twenty years, until 1965, before the Cosmic Microwave Background was discovered and "interpreted" as the afterglow of a large cosmic explosion. The Big Bang scenario was thus born, of a prior theory and three subsequent but disparate experimental supporting "facts". By the early 1970s, more than thirty years ago, scientific "consensus" was reached that the Big Bang was indeed the way it all must have happened. New theoretical ideas came along to support the details: inflation, to quickly move the explosion away from a singularity; baryogenesis, to initially make all the matter from the hot soup; string theory, to explain some of these details; and early fluctuations, to serve as seeds for galaxies. Trouble appeared in the 1980s when it was discovered that galaxies didn't have nearly enough visible mass to rotate as they did. In the 1990s, it was discovered that there was not even enough visible matter to support the experimentally measured expansion rate. More than 90% of the required mass was "missing"! The concepts of dark matter and dark energy were born to account for the discrepancy. Dark matter was also thought to be needed to help make galaxies form; even if the seeds were already there. And quietly, in the background, astronomers were busy measuring and cataloging as many galaxies as they could find, and making maps of where they were found. This has led to the discovery of great walls and voids, clusters and superclusters, and interesting structural patterns that don't neatly fit with the Big Bang scenario. It has also led to a remarkable spherical symmetry in all directions from Earth that also doesn't fit with a uniform expansion. Was "consensus" on the Big Bang reached too soon? Has new observational experimental data taken in the modern age of space observatories such as the Hubble telescope and the Chandra X-ray observatory, plus the use of computers and digital cameras, provided enough new evidence to reopen the controversy? If the Big Bang falls, what sort of a theory should take its place? Let us examine some of this history in detail. Let us look at some of the latest data, and its implications for the Big Bang. Let us see what characteristics a new theory has to have to satisfy the constraints of the data now in hand. At a minimum, let us begin a new dialog on the subject of "where did we come from"? In his first article, Roger Rydin examined the history of the "Big Bang" and some of the more recent observational data that seem to contradict General Relativity's prediction of an essentially uniform distribution of matter in the universe, which is at the basis of Big Bang theory. Now there is a new theoretical analysis by the late Dr. Robert Heaston of the physics side of the equations of General Relativity which indicates that a singularity may not be an allowable solution. On its heels comes a new mathematical analysis of the tensor side of the equations of General Relativity by Stephen Crothers, a former PhD candidate at the University of New South Wales, which indicates that the differential geometry equations of space-time developed by Minkowski, Einstein's mentor, as used in General Relativity contain mathematical errors that also say a singularity is not a permissible solution. Modern theorists do not seem to be aware of Schwarzchild's original solution, which does not lead to a black hole at all. These new developments are the subject of this article, and add solid theoretical ammunition to the extensive experimental data that suggest the Big Bang model cannot be correct. "... the Sloan Survey of galaxy distributions is inconsistent with the General Relativity-based Big Bang model; Einstein made an error using geometrized variables, by setting c = 1 and G = 1, that led directly to the Big Bang singularity, which does not occur otherwise; Schwarzschild's actual solution contains a singularity at r = 0, but nowhere else; Einstein's field equations violate the usual conservation of energy and momentum and are therefore in direct conflict with the experimental evidence." 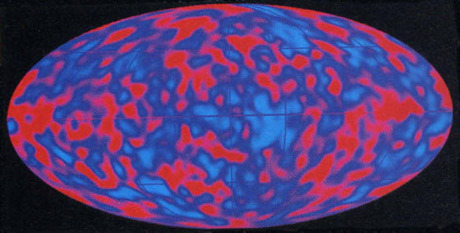 Circular patterns within the cosmic microwave background suggest that space and time did not come into being at the Big Bang but that our universe in fact continually cycles through a series of "aeons". That is the sensational claim being made by University of Oxford theoretical physicist Roger Penrose, who says that data collected by NASA's WMAP satellite support his idea of "conformal cyclic cosmology". In the abstracts below, we show that Galactic Rotation can be described with ordinary Newtonian dynamics, withOUT mysterious Dark Matter and withOUT gravity deviations. These abstracts will be presented at the APS Astrophysics conference in Jacksonville on April 14-17. I took a glance at one of the new abstracts about galaxy rotation. The halo idea has to be nonsense. I once thought that there was extra matter spherically distributed around a spiral galaxy that hadn’t made stars and so was not visible. Now, I think that Cahill’s theory is a better explanation. What I really hope for is that someday the dissenters will be able to present papers at regular physics and cosmology meetings where some real discussions can take place. In my book, The New Paradigm, there is a detailed treatment of why there could have been NO BIG BANG. It is true that most of the physicists still believe in the R-3. However there is a counter-school - namely that of Fred Hoyle who recently published his own Cosmology. I call the Big Bang the Greatest Hoax, etc. You have to be a devoted believer in a stupendous Deity to believe it. The “Big Bang” and Hubble’s expansion suggest a necessary property of an aether fluid which has not been investigated. Namely, if an aether fluid exists then its fluid elements must recede from each other in accord with Hubble’s law. Or one must assume that the distance, d(t) between any two fluid elements equals γ(t)d(0), where γ(t) = 1+t/т, t is time, т is the Hubble age, and d(0) is the distance at the present time, t=0. This expansion of the aether, called R, is the only one that satisfies the modern Copernican view that the recessional motion of the galaxies and the aether appear the same on a large scale for observers in any galaxy of the universe. In a paper entitled “The Pervasive Hubble Expansion of the Universe” one investigates consequences of this assumption when the aether is an ideal monatomic adiabatic fluid. For this fluid the pressure is the only means of interaction between fluid elements, and the interactions follow Newton’s three laws. For this fluid a transformation exists, in exact accord with Euler’s nonlinear equations, which transforms any fluid motion, called M, superimposed on the stationary aether fluid to an initially, t=0 identical fluid motion, called N, superimposed on R. The motion, N differs from M when t≠0 due to N’s nonlinear interactions with R, called expansion effects. The expansion effects turn out to be a pervasive part of Hubble’s law affecting all aspects of N motions. All parts of the pervasive Hubble law contain simple functions of γ(t) as multiplying factors. For example, all characteristic distances, volumes, and energies associated with the N motion must have respectively γ(t), [γ(t)]^3, and [γ(t)]^-2 as multiplying factors. The fluid dynamic analysis provides evidences in support of the thesis that all forms of matter, fields, and propagations in the universe are N motions superimposed on R. Moreover, the aether is not the light fluid proposed in the past, but a very heavy fluid of density of order equal to the nuclear density. The pervasive parts of Hubble’s law provide a relation between the Hubble age of the universe and the well known discrepancy between the calculated and observed longitude of the sun. The discrepancy equals 1.23 seconds of arc per Julian century squared. The relation yields 10.5 billion years for the Hubble age. Thereby γ(t) and all pervasive parts of the Hubble law are determined. The pervasive parts of the Hubble law are zero presently, t=0, and change with time, t at the exceedingly slow rates of about one part in 10.5 billion parts per year. Nevertheless, these seemingly minute changes with time suggest fundamental changes to physics and astronomy and resolve many outstanding questions and paradoxes that have puzzled and irritated scientists for many years. One finds an expanding reference frame which is a preferential frame for the equations of motion of the special theory of relativity. The Relativity principle and twin paradox are gone. One relates three different time scales, the Newtonian, the atomic, and the planetary ephemeris times. The Hubble age and the rate of the Hubble expansion are constant on the former time scale. The Hubble age is infinite and the Hubble expansion accelerates on the latter two time scales. The density of the invisible very heavy aether fluid diminishes as one approaches gravitating bodies and result in gravitational deflection of light. This may explain the large observed deflection of light passing by galactic clusters. Gravitational energy is generated in material bodies proportional to the product of the square of their masses and the gravitational constant and inversely proportional to the product of their radii and the Hubble age, т. This energy is of importance to determine the temperature of moons, planets, and old stars with spent nuclear fuels. The straight line Hubble relation between the logarithm of the red shifts and the order of magnitudes of standard galaxies is replaced by a curve passion through a large group of points observed for quasars. Thus, suggesting that quasars are distant galaxies. An extension of the equations of motion of the special theory of relativity predicts motion of test particles in Schwarzschild fields. It suggests that forward motions of perihelia and gravitational deflections of light predicted by the general theory of relativity are too large by 20 percent, and that gravitational red shifts are correct. This matter is an important input to the ongoing controversy about how much of the forward motion of the perihelion of Mercury is due to the sun’s oblateness. Use the link below to download a PDF of the paper. The “Big Bang” is abstract hypothesis. muons… gluons field ….. etc.) – was assembled in a “single point”. It is interesting to think about what had surrounded the “single point”. common phrases rather than in specific, concrete terms? Once there was a “Big Bang”. and in what space was the matter of the Big Bang distributed? It is clear, that there is only EMPTINESS, NOTHING, in T=0K. in a condition of T = 2,7K (rests relic radiation of the Big Bang ). But, the relic radiation is extended and in the future will change and decrease. What temperature can this radiation reach? we can not escape from EMPTINESS- NOTHING T=0K. Therefore it is necessary to begin to think from T=0K. About the theory of the “Big Bang” is written the thick (very thick) books. But anywhere do not write about the reason of the “Big Bang”. Anybody does not know it. have named the “Big Bang”. have named " a single point”. I am quite sceptical concerning the "Big Bang". I believe there may be other reasons for the red shift. Maybe I'll write a paper on the subject. I've attached my latest article, "More Evidence for an Aether of Protons and Electrons". It is based on some correspodence with Linus Pauling. In the paper referred to in my comments above many evidences are given that as far as we can look back in time the universe is expanding in accord with the Hubble law. There are no evidences that the law remains valid back in time to the singularity at time t equal to minus т. The fact that the Hubble law has this singularity leads this writer to the conclusion that the Hubble law must at best be a good approximation valid a substantial distance back in time. Any discussion of the Big Bang seams to be a waste of time. A more reasonable undertaking is to find how to alter present theories of physics to eliminate paradoxical and ad hock assumptions that have puzzled and irritated scientists for many years. Wikipedia lists the Poineer Anomaly as "a constant sunward acceleration of (8.74 ± 1.33) × 10−10 m/s2." If instead of being a sunward acceleration, we assume it to be a roughly constant drag force, it's magnitude becomes very interesting. When applied to light, that gives an acceleration of 0.0276m/s/ly. Does that number look familliar to anyone, or everyone? It's solidly within the range of recent measurements of the Hubble Constant. What are the odds that an entirely unexplained force would have exactly the right magnitude to account for the observed stellar red shifting, but not be related? i am by no means as clever or as informed as most of you people but i do know a couple of things based on pure logic. first that NOTHING IS SOMETHING and secondly, the big bang theory is impossible for one very good reason. the reason is right there in front of our eyes everyday. can anyone guess what that is? Quite right the remarks from Crothers, who seizes serious misunderstandings and misuse of Schwarzchild's equation; as also correct was the interpretation of General Relativity equations given by Husein Yilmaz in 1958, proving that "singularities" were unnecessary solutions. Observationally determined Hubble law, on the other hand, until it remains substantially confirmed, is also sufficient to formally question the need for an original big-bang. Hubble's law does only regard a quasi-uniform mutual recession motion of galaxies, which doesn't necessarily mean the universe's expansion. I've presented in an appendix to my "Vacuum, Vortices & Gravitation-2004" (www.mario-ludovico.com)a simple way to prove the no-need for the big-bang, just through re-writing Hubble's law in a more precise way. To mean that it would be an incorrect expedient using also Hubble's law for corroborating the big-bang theory.